Israelis remain on edge as the wave of Palestinian terror attacks and acts of violence continue. 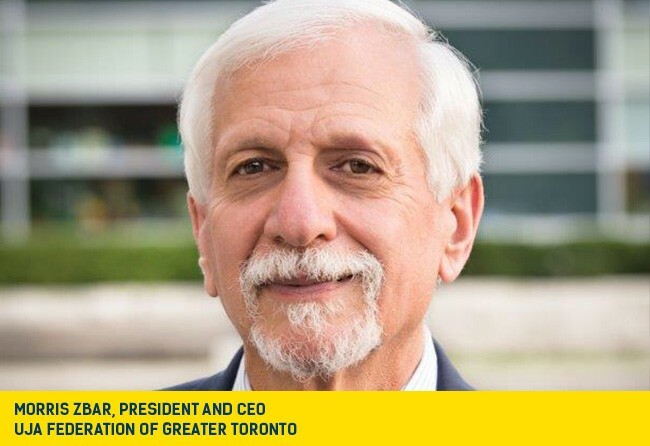 On behalf of UJA Federation of Greater Toronto, our supporters and more than 100 beneficiary agencies, I want to express my sincere condolences to the victims and their families, and wish for a full and speedy recovery to the injured. But, while we all hope for an end to this madness, and that calm is restored as soon as possible, there is more we can do. From October 19 to 24, you are invited to show the people of Israel that we stand with them during this time of crisis by joining UJA’s Israel Solidarity Mission. Travelling to Israel at this challenging time, to demonstrate to our Israeli brothers and sisters that they are not alone, and that the Jews of Toronto are with them – is invaluable to their morale and peace of mind. This Shabbat, as we pray for the safety and security of the people of Israel, let’s consider doing all that we can to show them that we stand with them, united as one people. For information about the UJA Israel Solidarity Mission, please contact Keren Levy at 416.631.5723 or at klevy@ujafed.org.